A cherry blossom is the name for the flower of cherry trees known as Sakura (Japanese kanji : 桜 or 櫻; hiragana: さくら) in Japanese. In English, the word “sakura” is equivalent to the Japanese flowering cherry. Not everything in life lives up to the hype, however after several years, Sakura and everything that surrounds them have grown on me in a real way. These are truly enchanting flowers and capture so much of the sensibilities about Japan that are attractive. They come only for a couple of weeks, once a year, and people go out of their way to find the most choice spots to view them. Hanami (花見?, lit. “flower viewing”) is the Japanese traditional custom of enjoying the beauty of flowers, “flower” in this case almost always meaning cherry blossoms (桜 or 櫻, sakura? ), or ume blossoms (梅, ume?). 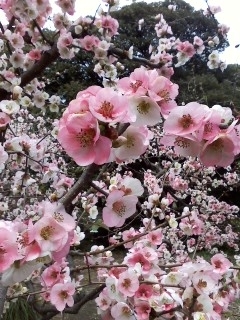 Hanami are wonderful. LOADS of people all crowd into the same area to enjoy the ambiance created by these little flowers. Now, how much flower viewing actually occurs versus alcohol consuming up to you. It’s a time when you can walk around and easily start, relaxed and natural, conversations with the people that normally scowl at you on the train in the morning. If you are in Japan, I recommend you go. 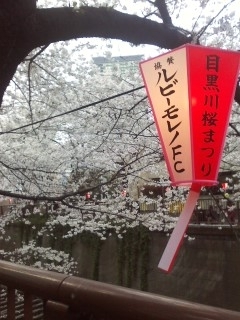 I am the opposite of the type of person who enjoys crowds, however I find Hanami and Sakura therapeutic. It helps me remember why I have been so far and away for so long. We were going to go to the cherry blossom festival in DC but couldn’t work out our vacations with easter being right in the middle. Oh well, there is always next year. hopefully right..I mean…theoretically speaking, maybe there isnt. I wish I could get you over here! It would be wild. haha…I know its a long haul though. I’m trying to talk Alex into going to Japan and China in the next several years. We are going to Germany in 2013. That is our plan. Passports are no big deal/ If you can save the cash, hell, getting a passport is a cake walk!